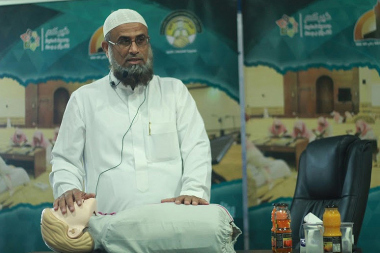 In cooperation with the Saudi Red Crescent Authority, the management team of ‘Bin Mahfouz’ Mosques organized first aid training programs for youth with the aim of enhancing voluntary services and social responsibilities in society. The training sessions were held in partnership with the Salem bin Mahfouz Foundation, and covered important topics relating to general safety skills, the importance of life-saving knowledge, the definition and concept of first aid, how to give cardiopulmonary resuscitation (CPR), how to deal with bleeding, shock, burns, fractures, drownings, heat stroke, asthma crises, diabetes and high blood pressure, cardiac arrest and epilepsy-related issues. The sessions created a voluntary spirit within the community, making people more able to deal with various emergencies and to provide first aid on the spot to keep the patient alive until the arrival of rescue teams.